Ahhhh ! A happy weekend up at the folks house for a bit of a lie in and a random wander around some nicely redeveloped former spoil heaps searching for little plastic boxes. So it was Sunday morning and we were suitably tooled up with a bit of a picnic, two kids, two parents and an iPhone. We parked up at the church at Donisthorpe and crossed the road for a bit of a stroll. The folks were new to the whole idea of caching, much like ourselves, so after a bit of explaining the rules, off we went, iPhone in hand. Our first target was Donisthorpe Pit Head. It proved to be the easiest of the day. Simple find, functioning iPhone app, no bother. Signed the log and dumped a trackable we extracted from some random place in Milton Keynes. Seem to remember it was a metal washer that was trying to get to Norway. Well, Donisthorpe is further north than Milton Keynes, so that must count as a positive contribution. Ami took out a hamburger yo-yo, which has so far proven to be the best thing extracted from a cache EVER ! Next up we targetted a few of geohunter-x’s Waterside Wander series. I won’t run through the failures though, because there were many. Not because they were hard to find, but mainly because this is a 3G free zone so the old iPhone was absolutely no help. About as much use as a chocolate teapot. So even though we knew roughly where things were supposed to be, we were shooting blind on Waterside Wander numbers 4, 5, 7, 8, 10 |& 11, even though we walked within a few yards of each of them. Doh ! 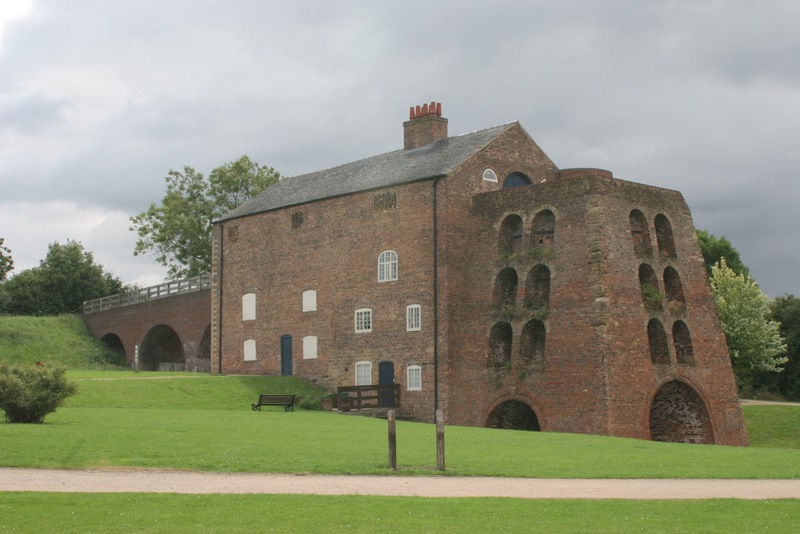 So we ended up by Moira Furnace where we decided to jack it in and have our picnic at a table right up by the canal. The girls did their usual trick of eating a balanced diet between them. Cheese lumps for Izzy, crackers & bread for Ami. But, of course, crisps for all. Kev and Kas also popped off to the nearby cafe and returned armed with a selection of drinks and cakes. Mainly cakes. Mmmmm ! Cakes ! So suitably refreshed and with kids getting restless we decided to cut our losses and head home. 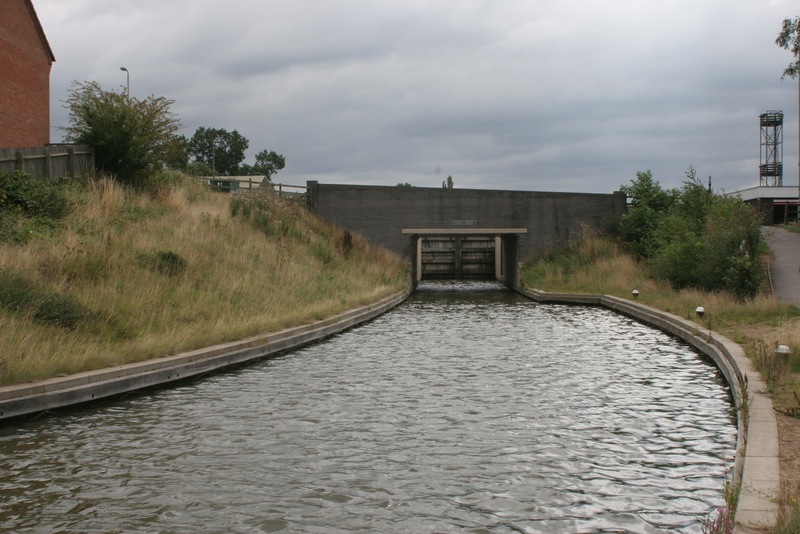 We took the alternate route along the canalside and had another pop (or blind guess, really) and #5 before progressing round to The Big Green Thing. Electrical substation jobby, I think. Anyway, this is the supposed home of Waterside Wander 6 The Big Green Thing. It was also a convenient place for parents and kids to grab a seat while Kev & Kas caught up. Somehow the slow ones got in front. A bit of rummaging around the Green Thing itself which proved fruitless despite being aware of the hint, but then Kev has a flash of inspiration and cast the net a bit wider. Hey Presto ! There it was, as obvious as an obvious thing. Signed log and had the (now mandatory) grief with the kids wanting to take loads of stuff out but put nothing in. So off we went for a bit more walking. Kev had vague inklings about some of the others, mainly #9, but couldn’t remember whether there was 1 or 2 more before getting there. It’s 2, but we didn’t remember that (because we couldn’t even remember the numbers). So we missed 7 & 8 but got to the bridge that is the home of Waterside Wander 9 Over the Bridge. Kev remembered the hint but this narrowed it down to still 4 locations (bear in mind no GPS assistance available). Guess what – it was at the fourth possibility and was discovered about 2 nanoseconds before the impending explosion of children into a fit of irritating whinging. The find was sufficient to calm them down enough to get back to the car without further grief. So we got back to the car and had a couple of theories about the nearby Grizzlies at St John’s, but the iPhone was still struggling and to be honest, if you don’t have a GPS you are never going to find anything hidden in vegetation, because you always get lost in the old “which tree” scenario. Still, on the bright side, the parents seemed to enjoy getting out for a walk, which will all be very useful for when we go to France in a few weeks time. Three finds is quite impressive when the iPhone could only help with the first. Shame nobody took a hat or suncream, so we were all a bit lobster coloured.